Philippe sent me this wonderful envelope. I love how he took the colors from the stamp (which has its own sun scene) to create this sun mail art. Very nice envelope indeed. As usual from Philippe. The colors are very nice. Yes, he really is a matter of color, and art in general. It's really beautiful. Me too, I love the colours so much. I have a feeling he is going to create many amazing suns. 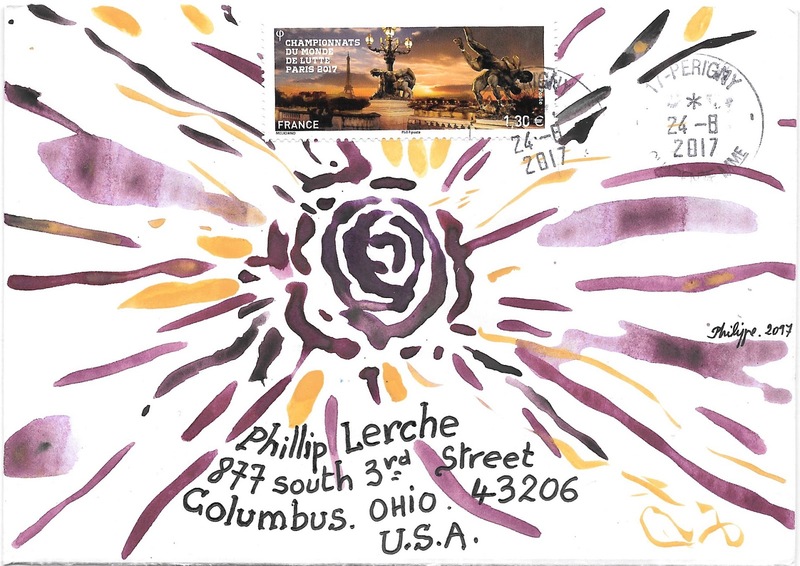 How many pieces of mail art have you sent? 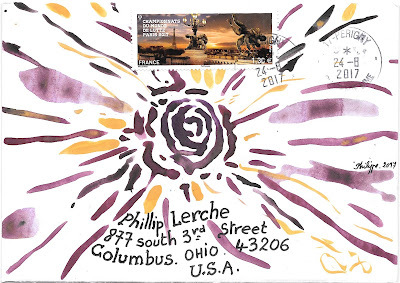 Do you enjoy abstract mail art? Why do bananas have spots? Is it the right address?